Acadia Parish Library executes well rounded general services to the community through its branches in the parish. The name of the parish is derived from the former French colony of Acadia in Canada (which consisted of the modern provinces of Nova Scotia, Prince Edward Island, New Brunswick, and much of Maine) many of whose French-speaking inhabitants were deported to France and then migrated to Louisiana in the Great Upheaval. 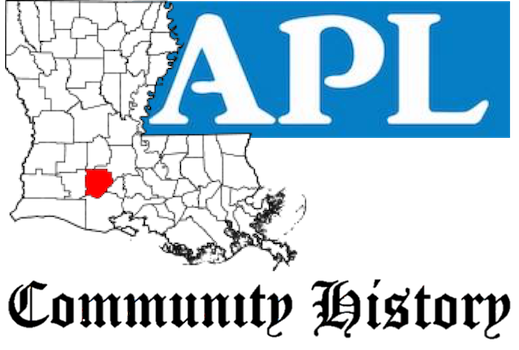 The parish itself was formed from the southwestern portion of St. Landry Parish. On Wednesday May 19, 1886, a bill was introduced in the house entitled "An act to create the parish of Nicholls, and to provide for the organization thereof." The title was later changed to read: "An act to create the parish of Acadia." Father Joseph Anthonioz, the first pastor of the Catholic Church at Rayne, is credited with having suggested the name, Acadia Parish. The bill passed the house on June 11, the senate on June 28, and was approved by Governor Samuel D. McEneryon June 30 On October 6, an election was held to affirm the creation of the parish, with 2,516 votes for and 1,521 votes against the creation. The population of the new parish was anywhere from 10,000 to 12,000. Acadia Parish population in 1890 was 13,231. 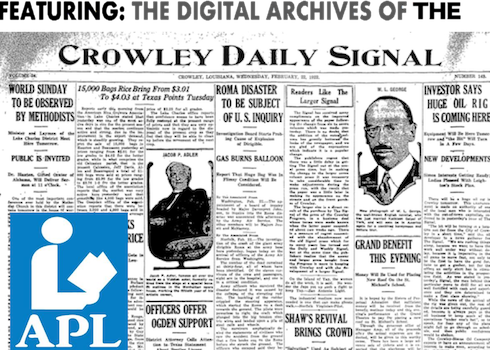 After a close election held on March 1, 1887, Crowley was chosen as the parish seat, gathering 698 votes to Rayne's and Prairie Hayes' 560 and 519, respectively. The election also determined the first officers in the parish: Elridge W. Lyons, first sheriff of Acadia, and R. T. Clark, first clerk of court. The first courthouse was therefore constructed in Crowley and completed on June 30, 1888, and continued to be used until May 1, 1902, when it was destroyed to make way for the second building.